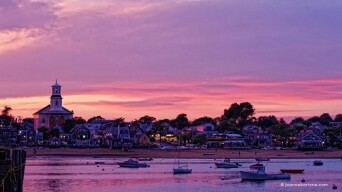 Blame it on the gays, but Provincetown, lovingly known as Ptown by gay and lesbian travelers alike, tops CheapHotels.org’s list of most expensive hotel stays in the U.S. this summer. This resort town located on the tip of Cape Cod, Massachusetts is difficult and expensive to get to in the first place, but gay — and in particular lesbian vacationers — have flocked to this destination for decades. Posted July 11th, 2013 & filed under Travel.